BFW relaunches its “Youth Programme” to highlight the importance of gender perspective in solving young people’s issues and to promote active citizenship and participation. The project is directly targeting young girls and boys (14 ­ 19 years) in 13 Bulgarian towns where Gender Equality Youth Clubs (GEYC) were established in 2009 – 2013. Using non-­formal education and innovative social tools, its aim is to enable young people to make informed decisions about their sexuality and health, and to build healthy life skills while empowering them to develop more responsible behaviors. facilitator. A local awareness raising campaigns, as part of a national one, coordinated by BFW in 2016, will be conducted, supported with small grants. They aim to raise awareness about consequences of early marriages and child pregnancy, to encourage young people to spot stereotypes and proactively confront discrimination and inequality of men and women, based on gender prejudices. The project tackles simultaneously several social needs: 1.) For sexual education among young people for whom puberty is a time of great vulnerability. Most lack the necessary knowledge required to make responsible decisions related to their sexual health and reproductive rights. In most municipalities retrograde prejudices about pregnancy prevention methods exist, ignorant of modern ways for protection. 2.) 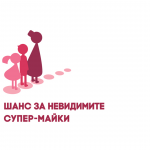 To decrease early marriages and child pregnancy, which are severe health and social problems in Bulgaria, esp. in municipalities with compact Roma or Muslim population. 3.) The need to fight discrimination and violence based on gender, ethnicity, race. 4.) To increase young peoples’ potential for successful inclusion and participation in community life. 5.) 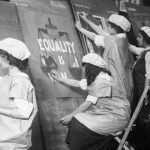 To empower girls and young women, who despite increased opportunities are still not free from the fetters of tradition, ethnic, political, cultural and gender-­based inequalities, providing them with the leadership role in the clubs. The project is part of an overall program encouraging and promoting active citizenship among young people, raising awareness among them about inequality and discrimination, fighting stereotypical images of men and women, gender prejudices and gender­-based violence. It will also support young girls in increasing their motivation and initiative for developing their leadership skills in order to achieve equal opportunities for realization in life.